Happy New Year, everyone! All of us here at Children’s Healthcare of Atlanta want to thank you for a fantastic 2018. Let’s review all of the amazing events we accomplished and the miracles we were able to help make happen! 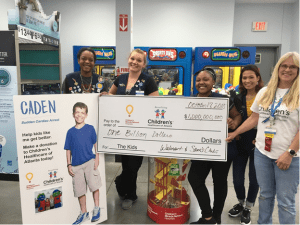 Last year was filled with incredible campaigns at Costco, Dairy Queen, Walmart/Sam’s Club, Kroger, Nordstrom, Rite Aid, Driven Brands, GameStop, IHOP, Love’s, Speedway, Ace Hardware, Great Clips, Panda Express, Publix and more! It was a successful year full of fundraising and support! Thank you for participating and helping us reach our goals here at Children’s Healthcare of Atlanta. We are especially grateful for our top fundraising partners: Costco, UGA Miracle, Walmart, Sam’s Club and Publix. The funds raised in 2018 help support our system’s greatest needs, which provide the most impact on our kids. These funds help us to invest in the future of pediatric care, while also providing excellent care for the community. For example, we care for many patients that have complex conditions who require frequent visits to different specialists and clinics. 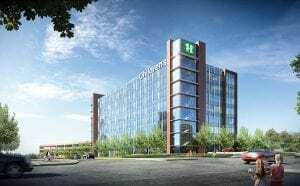 We saw that there was a need in the community to build a facility to help families who were challenged with frequent visits to different physicians multiple days a week. Through your giving we have been able to create the Center for Advanced Pediatrics, which opened in July 2018. This facility allows us to bring pediatric clinics and specialists together under one roof to better serve patients with complex conditions. Thank you for your thoughtful donations and for helping make 2018 unforgettable. Let’s take this great success into the new year and continue making miracles happen!